In the last issue, we talked about overcoming performance fears and anxiety. 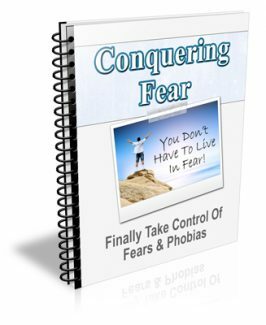 In this issue, we are going to go over some simple methods that will help you conquer your fears. Have you ever felt overwhelmed by fear so much so that it prevented you from doing something you wanted to do? Believe it or not, this is a common problem faced by millions of people daily. As we have discussed before, fear has the power to hold you back from taking risks, following your dreams, or becoming successful at anything you attempt to do. If you allow it to control you for long enough, it can eventually wear away your quality of life and keep you locked in a prison of inactivity. What many people fail to realize is that fear is nothing more than a conditioned response. It’s a natural reaction to a frightening or unfamiliar situation. 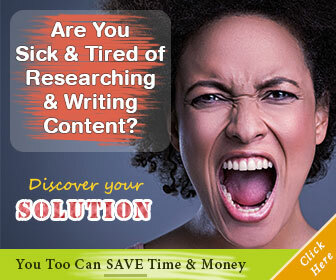 While it is usually automatic, there are things you can do to overcome it. – Do the very thing you fear. If you weigh the pros and cons in any situation, you may decide that the possibility of negative consequences is minimal so there’s nothing to stop you from ignoring your fear and going for it! You will determine this on a case-by-case basis, of course. The point isn’t to become reckless with your decision-making but rather to empower yourself to know when a fear is groundless and easily overcome. Make sure you look for your next issue soon. We will be talking about the science behind terror. Disclaimer: Please understand that the content of this newsletter isn’t meant to replace the advice of a licensed physician. The information provided here is intended as educational material only and should never be interpreted as medical advice. If you feel that your condition is a real medical emergency, please contact your physician or healthcare professional immediately.